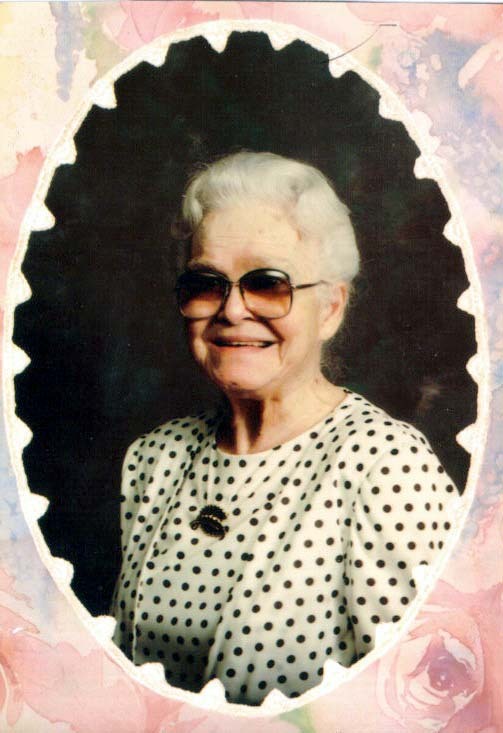 Nellie Mae Bethea was born on July 20, 1909 in an unknown place and died on April 24, 2002 somewhere in Florida. She lived to be 92 years old. Recorded as family #195: Alvin Markham (age 23), Nellie M. (wife, age 20), John A. (son, age 3), Cora B. (daughter, age 1), Charle B. (son, age 2 months) and Brown Fielding (uncle age, 60, widowed). Alvin and his parents were born in FL and so was Nellie. Nellie's father was born in SC and her mother in FL. Alvin was 19 and Nellie was 16 when they were married. Alvin is an orderly working at a government hospital and estimates the value of his home to be $1, 670. The family does not own a radio and does not live on a farm. Alvin and Nellie can read and write while Brown Fielding cannot. MARKHAM - Mrs. Nellie Mae Markham, 92, passed away Thursday, April 24th following a long illness. A native of Lake City, Florida , Mrs Markham had lived in Jacksonville since 1945. She was a charter member of the North Jacksonville Church Of God. 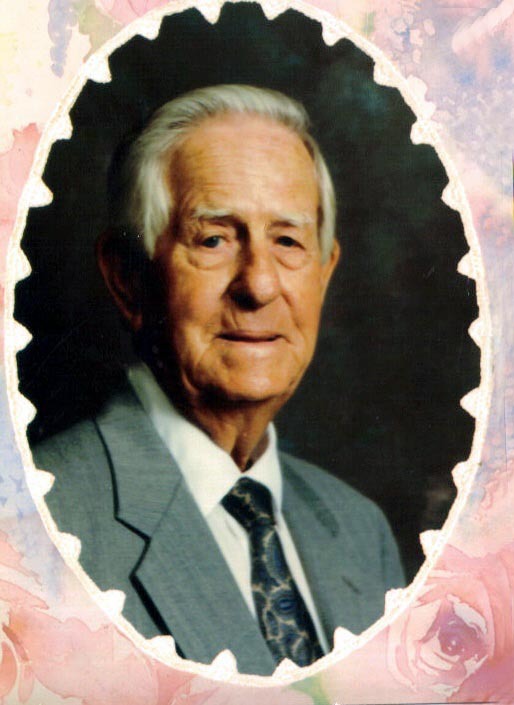 Mrs. Markham was the widow of the late Alvin Markham and is survived by three sons: Johnnie (Sue), Edmond (Virginia) and Gerald (Nell); four daughters: Susan Bryant, Jean Williams (Lawton), Mary Coward (Parnell) and Elizabeth Coward (Billy). Also surviving are sixteen grandchildren, twenty two great grandchildren and fourteen great great grandchildren. Funeral services for Mrs. Markham will be conducted at 11 AM Friday in the North Jacksonville Church of God with Rev. Rob Taylor and Rev. Charles Linton officiating. Interment will be in Riverside Memorial Park. Visitation with the family will be from 6 until 8 Thursday evening at the Hardage Giddens Funeral Home, 4315 Main St. For those who wish, memorials may be made to N. Jacksonville Church of God, 7600 Kenya St., Jacksonville, FL 32208. Social Security Death Index: Nellie M. Markham, born 7/20/1909, died 4/24/2002. Her social security card was issued in Florida before 1951. Click on any of the News, Events, or Discoveries buttons above to see historical things that happened during Nellie Bethea's life. These are only some of the major events that affected the life and times of Nellie, her family, and friends. For example, Nellie is 1 years old when Boy Scout and Girl Scout Organizations are introduced in America and the concept of a "week end" meaning time off from regular work begins to take root. The British Empire covers 1/5th of the world land area. 89 1998 Construction begins on the International Space Station. 91 2000 Successful cloning of animals begins in the early 2000s. 91 2000 The 2000 census enumerates a population of 281,421,906, increasing 13.2% since 1990. As regions, the South and West continued to pick up the majority of the increase in population, moving the geographic center of U.S. population to Phelps County, Missouri. 91 2000 November 7, 2000 - George W. Bush, son of the former President, and Vice President Al Gore hold a virtual dead-heat for the presidency, with a disputed vote in Florida holding off the naming of the winner of the President Election until the Supreme Court of the United States voted in favor of Bush on December 12. This ruling gave Florida to the Bush camp by a 527 vote majority, and a victory in the Electoral College, 271-266, despite gaining less popular votes than Gore. 91 2000 December 28, 2000 - Montgomery Ward, the retail giant since its founding one hundred and twenty-eight years before, announces its intention to cease business. Competition from newer, low-cost retail behemoths such as Wal-Mart lead to its demise. Over the next 10 years Wal-Mart pushes most other 'dime store' businesses to closure. 91 2000 June 1, 2000 - For the first time since 1851, the United States of America does not participate in a major World's Fair, the Hannover 2000 World Expo, despite a record number, 187, of international participants. President Bill Clinton had withdrawn U.S. participation late in 1999 after agreement to participate in 1997. Congressional apathy toward participation in world events continues a decline in U.S. involvement after the fall of the Soviet Union and victory in the Cold War. A consequence of this policy has led to a rise, among some experts, of anti-American sentiment, and a decline of U.S. influence in diplomatic affairs. Less than half, 18.1 million, of the original attendance estimate, 40 million, visit Hannover's event. 91 2000 April 3, 2000 - The ruling in the case of the United States versus Microsoft states that the company did violate anti-trust laws by diminishing the capability of its rivals to compete. 92 2001 April 8, 2001 - Tiger Woods becomes the first golfer to hold all four major golf titles simulteneously by winning the Master's tournament in Augusta, Georgia. This followed a remarkable run in 2000 when Woods claimed victory at the final three majors of that season; the U.S. Open, the British Open, and the PGA Championship. 92 2001 NEWS HEADLINES: September 11 -- (9 11) -- The World Trade Towers are hit by terrorist flying commercial planes full of passengers. 93 2002 February 8, 2002 - Amid tight security due to terrorism concerns, the Winter Olympic Games are opened by President George W. Bush in Salt Lake City, Utah. They would continue without major incident until the closing ceremony on February 24. 90 1999 United States budget goes into surplus. 90 1999 Yugoslavia breaks up and Serbia is contained. 91 2000 China begins to emerge as an economic giant. 91 2000 Internet, cellphones, and social networking (using websites such as Twitter and Facebook) begin to grow in popularity and become standards for most house holds by 2010. 92 2001 September 18, 2001 - Anthrax attacks by mail from Princeton, New Jersey against news and government targets begin. Federal officials announce the first case on October 4. World wide concern about terrorism continues to escalate. 92 2001 October 7, 2001 - In response to the tragedy of September 11, the United States military, with participation from its ally the United Kingdom, commence the first attack in the War on Terrorism on the Taliban and Al-Qaeda in Afghanistan. By November 12, the Taliban government leaves the capital, Kabul. 92 2001 September 11, 2001 - 911 - Islamic fundamentalist terrorists hijack four U.S. airliners and crash them into the Pentagon and the World Trade Center in New York City. The attack of two planes levels the World Trade Center and the crash of one plane inflicts serious damage to the Pentagon in Arlington, Virginia, causing nearly 3,000 deaths. The fourth plane is heroically crashed by passengers into a Shanksville, Pennsylvania cornfield when they learn of the plot, preventing destruction of another structure in Washington, D.C., supposed to be the White House or the Capitol building. The plot is attributed to the Al-Qaeda organization led by Osama Bin Laden. 93 2002 May 21, 2002 - The United States State Department issues its report in the War on Terror. It states that there are seven nations that a State-Sponsors: Iran, Iraq, Cuba, Libya, North Korea, Sudan, and Syria. 93 2002 November 21, 2002 - NATO invites additional members of the former Soviet bloc to join its membership. Seven nations are included in the invitation; Bulgaria, Estonia, Latvia, Lithuania, Romania, Slovakia, and Slovenia. 93 2002 November 8, 2002 - The United Nations passes Resolution 1441 in a unanimous Security Council vote. It forces Saddam Hussein and Iraq to disarm or face serious consequences.